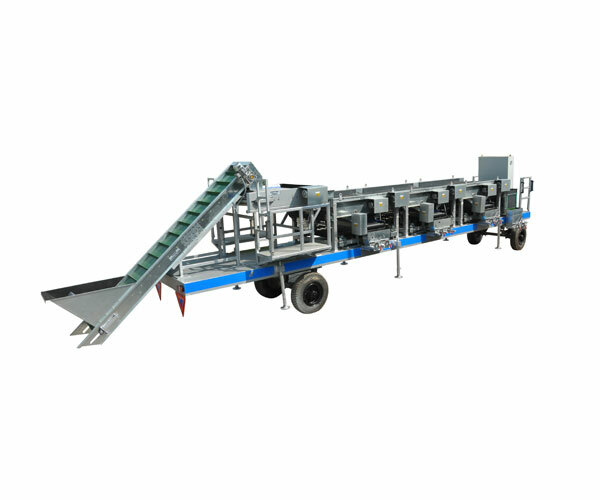 The screen sizer is fitted with vibrating rubber screens with perforations on its surface. The graded products will be collected through collection belts. Shaker assembly is fitted to vibrate the screen. Greater grading efficiency than other types of graders due to the orientation of the products on the screens. Required number of modules can be attached together to form a complete line. 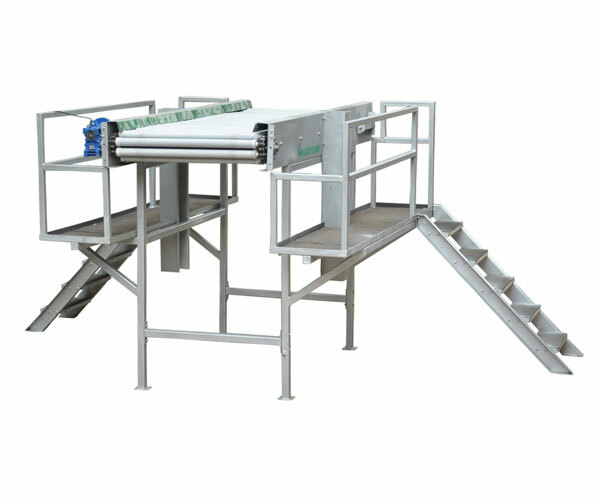 It is used for packing of potato, onion, beet root, garlic and similar products. 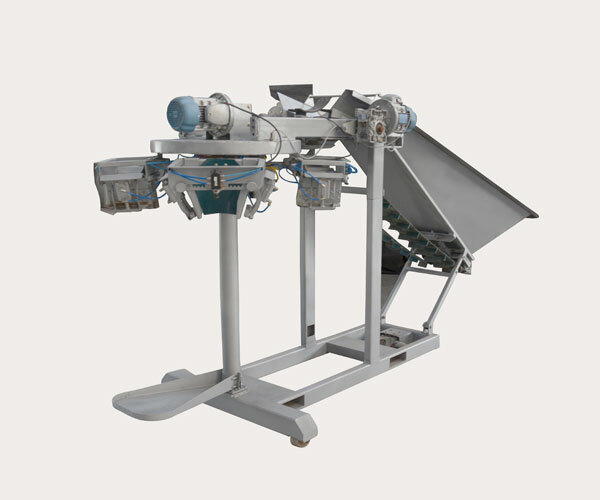 It has a four head rotary bagger, designed for holding bags or cartons. Adjustable buckets are fitted to match a wide range of bags or cartons. 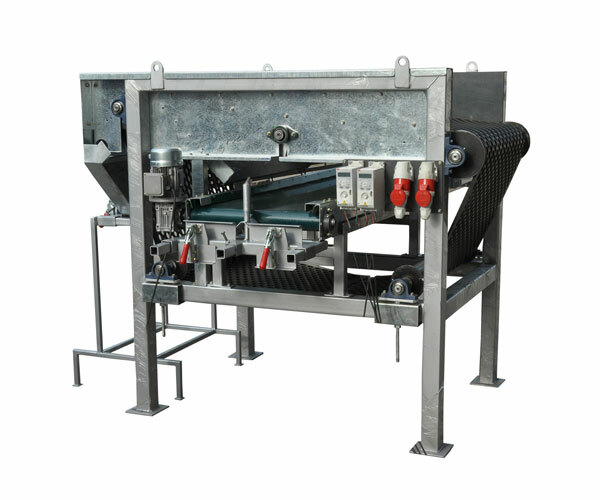 Bucket clamps are used for holing bags or cartons. 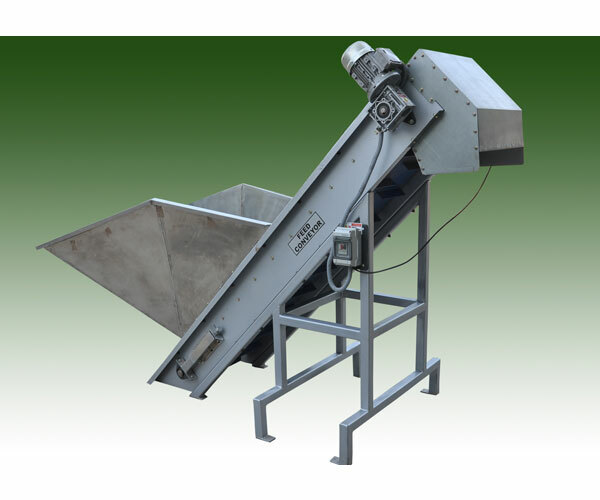 Feed hopper is height adjustable. It has gentle cleated belts. Production statistics like number of bags, average weight of bags etc are also displayed.